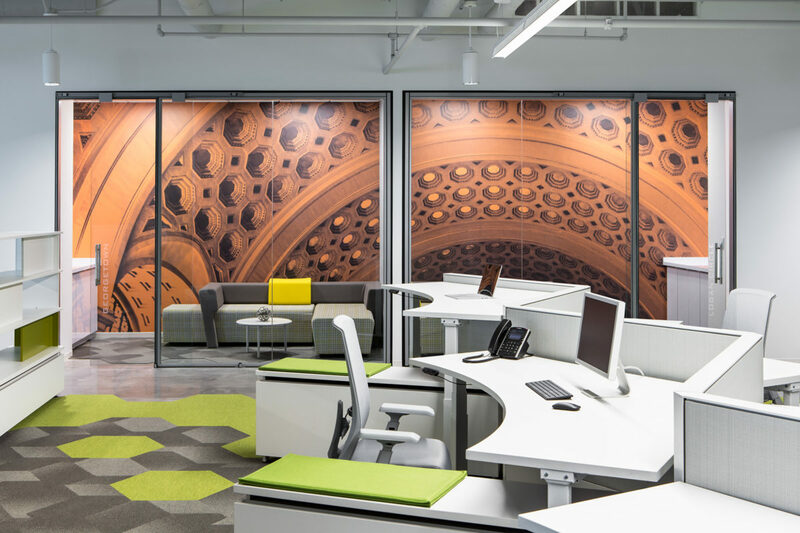 Spin Systems’ vision for their space was not to have the architecture capture their cultural identity but instead, to provide an architectural backdrop that would highlight their unique, fun and hardworking identity. 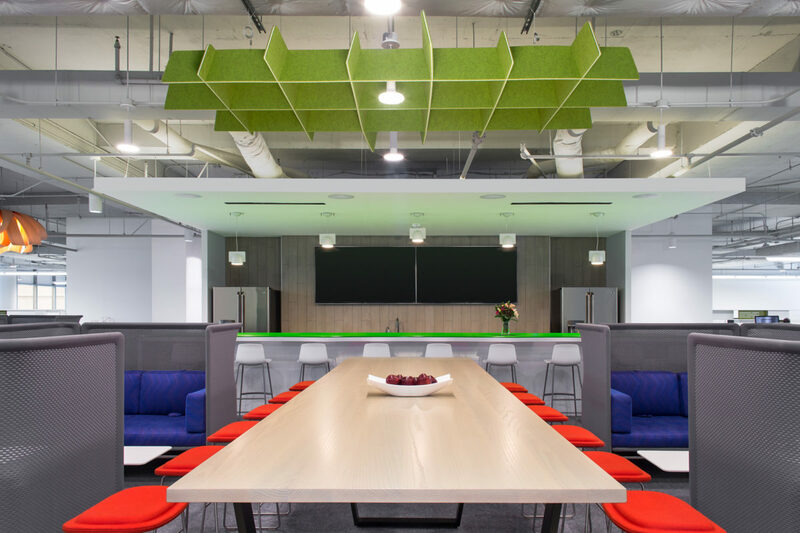 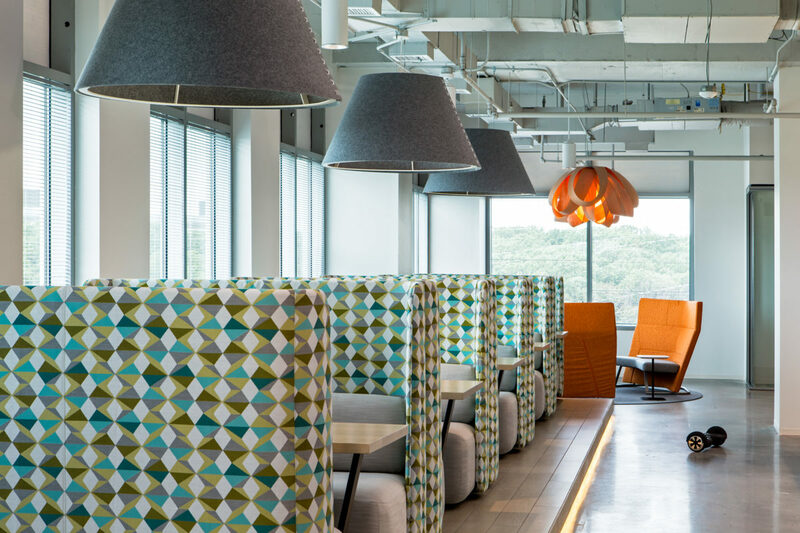 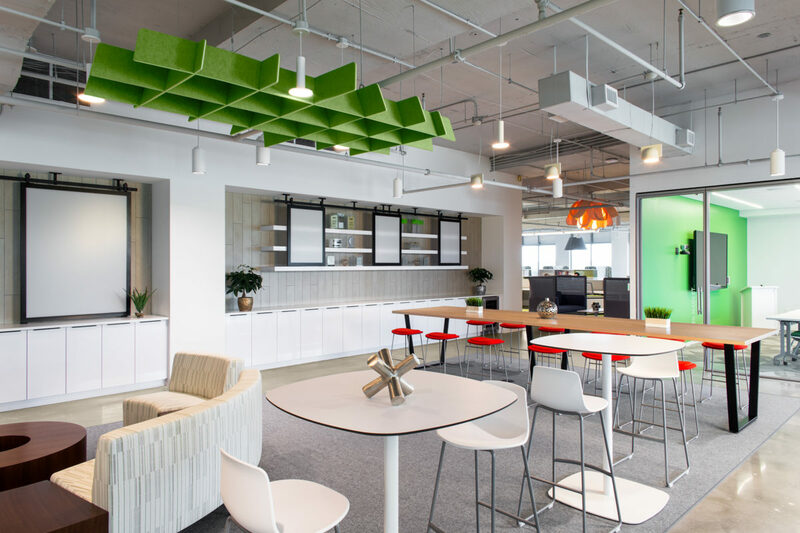 With not a single office in the suite, Spin Systems fully embraced an open-work plan. 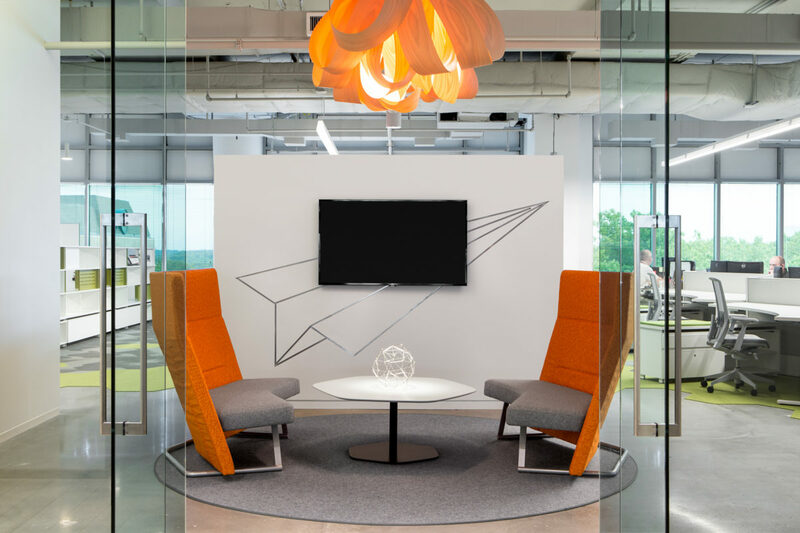 The interior suite is defined by a series of small team and phone rooms, while the remaining floor plan features sit/stand workstations complimented by a series of open yet intimate collaboration and touchdown spaces.